Yellow excavator works hard to help kids learn colors - watch this video now for free online! 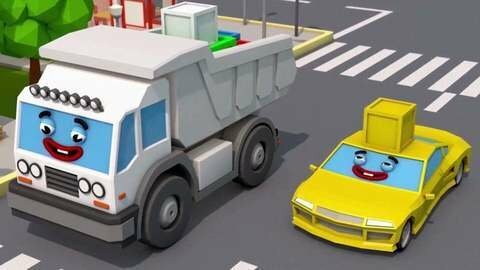 Yellow excavator is working hard in this 3D car cartoon episode to help kids learn colors! He is on top of a roof, doling out balls to dump trucks! Will all the balls go to the correctly matched colored truck?! Find out at SeeZisKids.com, and watch other fun episodes!